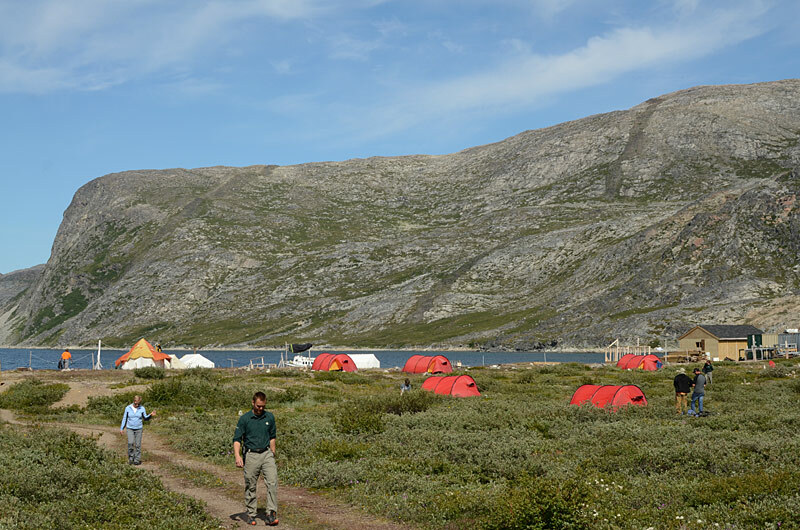 This is the 10th anniversary of the Torngat Mountains National Park, and the Base Camp has grown along the Park. The original tent area, placed close to the dock, the bunkhouse and other facilities, is now nicknamed "Downtown" and the expanded accommodations area is called "New Town." The tent ground sports a mixture of backpacker styles and traditional canvas prospector tents. The colourful tents are the first thing a visitor sees of the Base Camp from the air or water.